The Colombian Vice President Angelino Garzon, a prospective ambassador to Brazil, has turned down the job -- an event that's been called "very embarrassing" and causing a bit of a stir. The reason why Garzon said no? "I have turned down the ambassador job because the dog you see on that picture" -- Garzon said to a reporter while pointing out a photo of his German Shepherd --"is very hairy and the hot climate of Brasilia could harm its health." He defended his decision by saying, "the dog is not government property. Wherever Angelino [Garzon], it goes." Prior to his public explanation, Garzon had written a letter to the Colombian president explaining that he had rejected the job for personal and family reasons. His new reason didn't impress Colombia's Foreign Minister Maria Angela Holguin. Calling it "very embarrassing," and issuing an apology to Brazil, Holguin wasn't very sympathetic to either Garzon or his very hairy dog: "When he mentioned personal problems, you would expect something deeper than that. It is as though he doesn't realize the importance Brazil has." 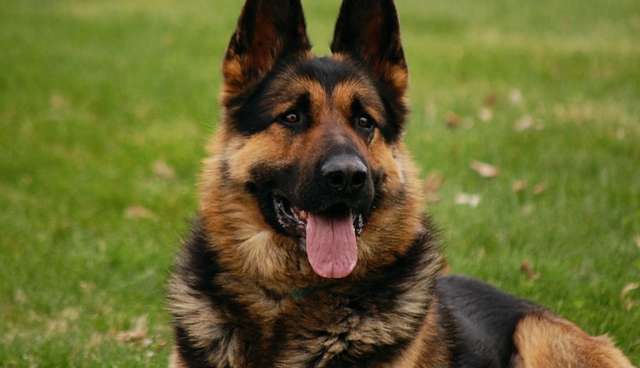 Garzon may have a point when it comes to the dog's suitability for warm climates -- bred to have a thick fur coat, German shepherds are more suitable for cooler climates, and may be uncomfortable in such hot, humid environments. Though an ambassador would probably have access to AC.